ALLEGRA BOVERMAN/Staff photo. Gloucester Daily Times. 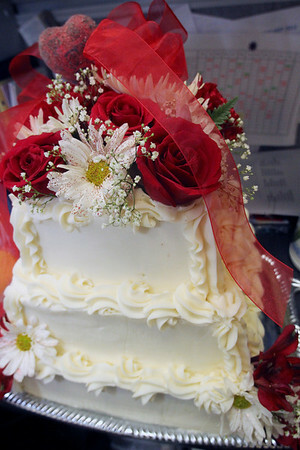 Gloucester: The cake that was to be served during the reception at the Day by Day Mock Wedding held on Tuesday morning at the center in Gloucester.